For over 40 years, we have been making Lee & Collier Counties the most beautiful place to live! (Why do think so many people vacation here?) We provide the ultimate in Customer Satisfaction by designing a plan specific to your needs, dreams, and lifestyle to ensure you enjoy your yard for many years to come! Call us today for a free estimate! As Landscape Architects, we create memorable places in which to live, work and play. We offer distinctive design with adherence to real world schedules and budgets through an interactive creative process. 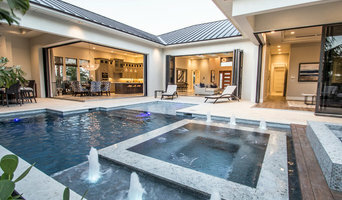 Award-winning GardenBleu Designs creates outdoor living spaces for a variety of needs, whether it be relaxation, improved functionality, a better entertainment space, or an increased home value for resale. Through outdoor landscape architecture, we re-imagine possibilities to reflect what is important to each client. We understand it, we tell it beautifully, we make it engaging--and we simply make it easy for you. Moore Landscaping Inc. is a full service design and installation firm located in Naples, Florida. We proudly serve many Southwest Florida's elite communities with landscape design and installations. Not many people actually have the time or patience to tend to their landscaping. Thankfully, JESUS HERNANDEZ LANDSCAPING &DESIGN is here to help you with all your landscaping needs. Whether you want to spruce up your yard for that upcoming barbecue or create a professional, manicured look for your office building, put our experienced team of landscape professionals to work for you. ALD has been providing design and consulting services to discriminating clients throughout Southwest Florida since 1994. The firm has been involved with all facets of development, including: community development, commercial design, high end residential design as we all as renovations for previous projects. Our focus is on projects based in Florida, but we have also designed in South and North Carolina, the Bahamas, and the Cayman Islands. The work of this outdoor professional includes most everything surrounding a home's exterior. 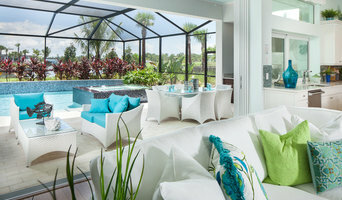 A landscaping architect can even work with the home architect to choose the right spot for your Naples Park, FL house. 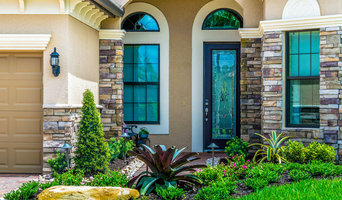 From there the Naples Park landscaper will develop preliminary concepts for your front or backyard design based on individual needs including the climate and activities that will take place, as well as layouts and planting plans. Landscape architects will also design any structures or outbuildings that will be added to the space. Any grading changes that will be added to the yard are also the responsibility of the architect. This includes any drainage modifications. An engineer can also be responsible for these tasks, but licensed Florida landscapers are fully capable. Like building architects, they will produce preliminary concept drawings as well as detailed construction documents and planting plans. Three-dimensional renderings and illustrative plans are all supplementary. A Naples Park landscaping designer generally will have ecological, aesthetic and technical training, which helps them maximize the potential of your outdoor space. Keeping in mind both style and functionality, garden designers analyze your architecture and yard to produce a plan that may or may not include location and materials for walkways, patios, water features, fences, garden aspects and more. In addition, a landscaper in Naples Park, FL will carefully assess your geographic region to choose plants, trees and flowers that will flourish naturally, as well as address concerns such as drainage, screening and soil conditions. Certain landscape designers only help with the planning portion, while some may deliver the plans and then oversee a hired landscaping contractor. Others — typically following a design-build approach — take care of both the design and all aspects of the landscape architecture and construction. Find a Naples Park landscape architect on Houzz. 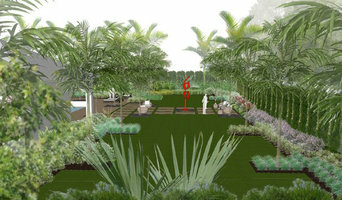 Narrow your search in the Professionals section of the website to Naples Park, FL landscape architects and designers. You can also look through Naples Park, FL photos to find a space you like, then contact the professional who posted the photo.